The new Leggera bathtub from Ceramica Flaminia is a design that will arouse curiosity in all who see it. Resembling a crisp white cloth held taut by four invisible hands, the Leggera stretches out invitingly… the vision of designer Gilda Borgnini. The lightness of the design, and the thin surfaces of the bathtub allows for a sense of freedom from the usual boundaries. The outside and inside of the bathtub are less marked, melting into one another with a sensation of airy relaxation. A stainless steel shower pole pierces through the porcelain effortlessly, as if it were indeed cloth. 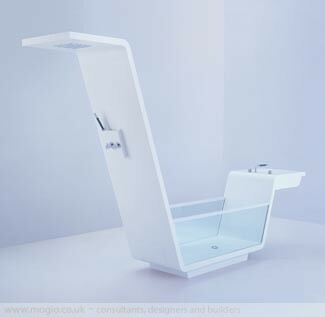 The tub’s shape and dimensions are ideal for reclining to your full length, undisturbed by the normal restrictions (even if you are very tall), and are likewise also perfect for containing any splashes from the shower. Soak and shower to your heart’s content in the new Leggera bathtub by Ceramica Flaminia. Don’t have a cow, have a bath! 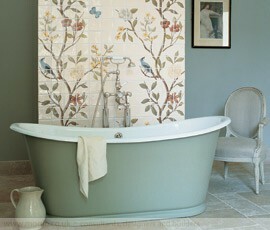 The already hugely popular Stone One bath collection has now been released in this cow ‘skin’ design. Stone One baths are made from a resin based composite material called Compolight and manufactured in Belgium, while the imitation cow skin is clad onto the bath and made from micronised leather. The mock leather is treated for water resistance and will not fade over time. 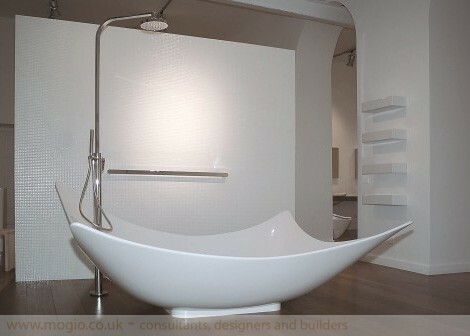 Designed by Paolo Chipiron and manufactured by Aquamass, the bath measures 1700mm in length by 870mm wide. 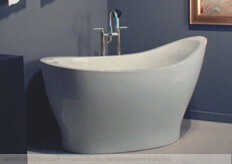 The internal depth is 490mm with a water capacity of 200 litres. As well as the cow skin Stone One bath (shown) it is also available in an array of colours as well as many other mock leather skins and mosaic patterns too. The sanitary ware is hand-made using sheets of natural acrylic stone from LG HI-MACS, and can be thermo-formed into almost any shape and joined seamlessly, permitting the ultra-modern designs, just like the EBB / shower bath basin combination seen above. The Memento Bathroom Collection from Villeroy & Boch allows you to create a relaxing bathroom environment with simple stylistic forms – a perfect antidote to the constant flood of information and sensory overload of today’s world. 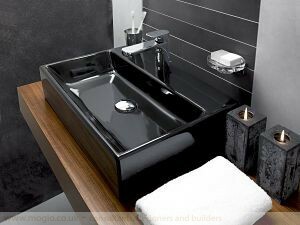 The bathroom furniture in the range features real wood veneer facades made of rare amazahoue, varnished in a matt silk finish, and finished with luxurious black glass. 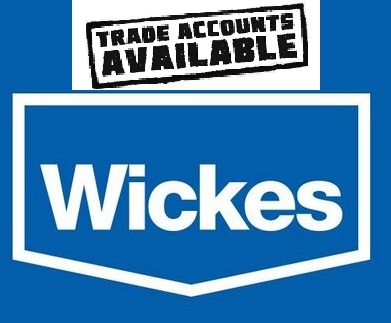 The range includes 5 models of vanity unit, washbasin countertops in various sizes, matching towel holders, and various mirror options (with and without lights). The Squaro Bath from Villeroy & Boch has been made to perfectly complement their Memento range of bathroom sinks and furniture. It follows the same design as the Memento sinks and so has the same calm and minimalist style. The bathtub is available in 2 sizes (180 x 80cm and 170 x 75cm) and is double-ended, enabling the bather to sit comfortably at either end. The generous dimensions and comfortable backrest slope have been designed for maximum comfort. 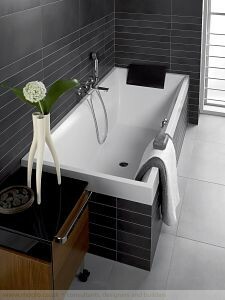 For the ultimate in luxury, the Squaro bathtub can also be fitted with the optional extras of an ergonomic headrest and/or a Villeroy & Boch whirlpool system. 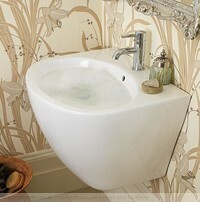 The Squaro bath is made from “Quaryl”, a material unique to Villeroy & Boch which consists of quartz and acrylic. 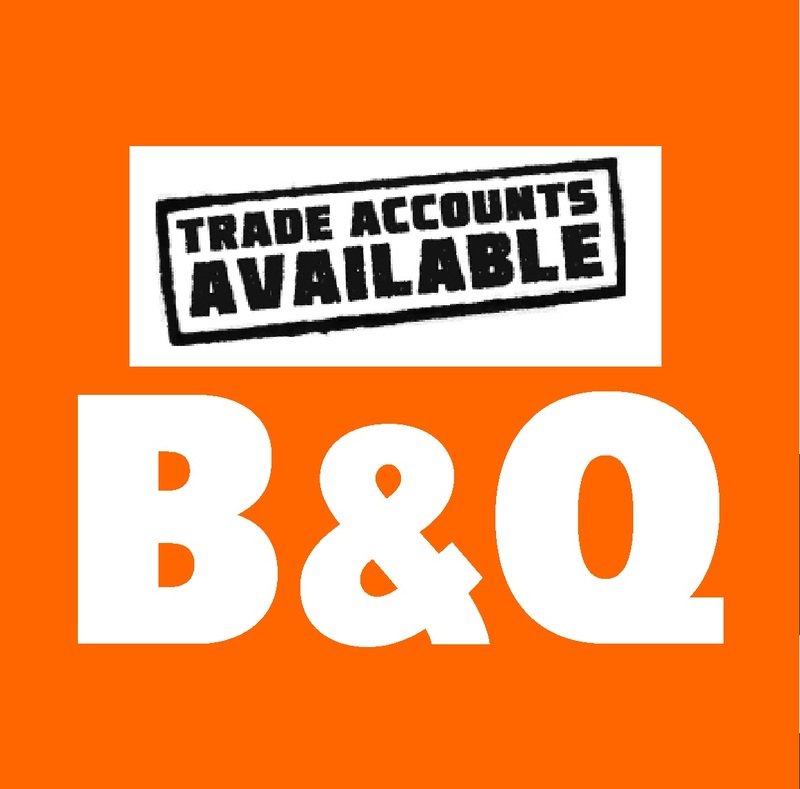 Quaryl is warm to the touch, is easy-clean with an increased resistance to scratches, is fully repairable and as an added bonus is 100% recyclable. The bathroom, once simply functional, is now, because of new materials, new technologies and better design, increasingly able to combine style and form with function and bathing be calming haven, healing spa, private refuge or romantic rendezvous, as well as cleansing. In Cabuchon Bathform you will find the whole range of beautiful baths created by first defining function and then adding style and form. To flagship it’s hugely- successful and comprehensive cast- iron bath that is reminiscent of the best of the 19th century French chateau baths. Hand- made and handcrafted from solid copper with an enamelled cast- iron interior and made to individual order, the generously proportioned and double- ended Radisson Cobre is the ideal centrepiece for any new design project or luxury bathroom space. 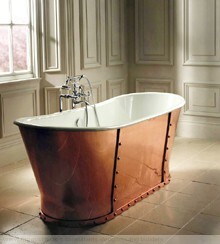 A stunning and luxurious copper bateau bath that is reminiscent of the best of the 19th century French chateau baths.As well as being an unquestioned design icon, the Radisson Cobre is both practical and functional owing to the heat retentive qualities of the cast- iron/ air- gap/ copper structure. As well as maintaining the water temperature for a much longer period than its purely cast iron contemporaries, the heat is retained in the bath to give an even, overall warmth. The Radisson Cobre also features a durable lacquered coating that enables the bath to stand up to the rigours of regular use and maintains the integrity of the metal’s lustre. To complete any dream bathroom sanctuary, the Radisson Cobre may be co- ordinate with Imperial’s extensive range of luxurious sanitary ware and handcrafted timber furniture, as well as tap ware, showers and enclosures, tiles and accessories. 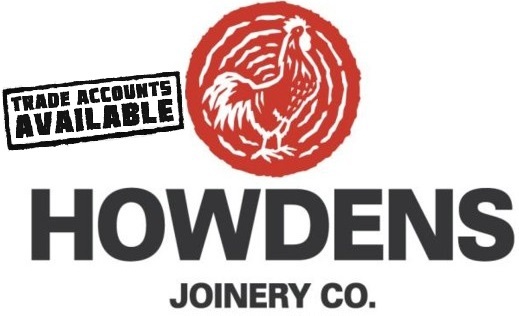 Linda Barker is passionate about bathrooms, so when the opportunity came to work with a leading UK bathroom company like Bathroom Heaven she was delighted. Over the past few months she has worked together with Bathroom Heaven to produce a stunning, design driven range of bathroom accessories which should compliment any setting and decor. 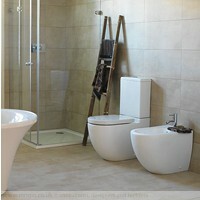 Speaking about the new range, Linda Barker said: “‘Design is integral to creating the perfect bathroom for your home. All too often our bathrooms are squeezed into tiny rooms or en suites off the bedroom and often this is when design needs to work its hardest. The Chinoiserie series is the latest addition to the Fired Earth wall tile collection. It takes it’s inspiration from the Chinoiserie wallpaper patterns of the early 19th century. Renowned ceramicist Alice Gibbons has worked with decorative artist Adam Calkin to create an extraordinary wall tile series. The Chelsworth design is the first in the series to be launched. Individually handcrafted tiles, they work together to make an exquisite statement and, quite literally, transform a room. 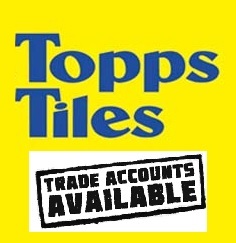 The tiles for 4, 6, 12 and 36 tile panels which, when used together, make up the 72 tile master panel. This is turn, can be extended vertically and horizontally to form total ‘wallpaper’ arrangements. When creating the new range, Linda Barker drew upon her experiences of bathrooms around the world in order to design a bathroom collection that would offer practicality, quality and value for money. 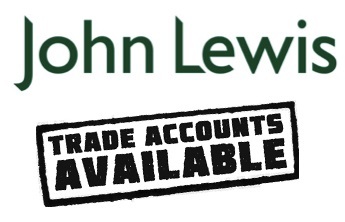 The range includes the Linda Barker bathroom suite, the Linda Barker brassware collection and the Linda Barker roll top bath. Each item in the Linda Barker Bathroom Collection is manufactured to a high standard and features the designer’s very own special seal of approval, her daisy motif.